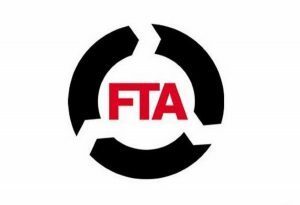 The Freight Transport Association (FTA) is in the midst of a week-long event aimed at improving road safety for people who are deemed to be vulnerable users. These groups could include pedestrians, motorcyclists and those on pedal bikes. They are the thinking behind the 'look out for each other' campaign, which is the overall theme of this year's Road Safety Week. What's more, the initiative has gained the full support of perhaps the most recognisable road safety body in the country in the shape of the FTA. Shopfta is a department of the organisation that specialises in coming up with and promoting cutting edge safety products aimed at offering a better level of protection for vulnerable travellers. It has spent the week so far trying to raise the profile of equipment like blind spot lenses, which have been on offer at a 20 per cent discount since Monday when purchased from Fresnel. In addition, the FTA has published a new document entitled Shared Vision, which has been designed to provide a universal set of guidelines for cyclists and motorists to follow in order to stay safe. Head of urban logistics policy at the FTA Christopher Snelling explained that the aim is to come up with a holistic programme that keeps everyone on the same page and offers a level of transparency regarding the work the organisation does on a day-to-day basis. He said: "Our members are investing their money, staff and vehicle time in taking actions that they believe will improve the safety of everyone on the roads – all above and beyond what anyone is requiring of them through regulation."